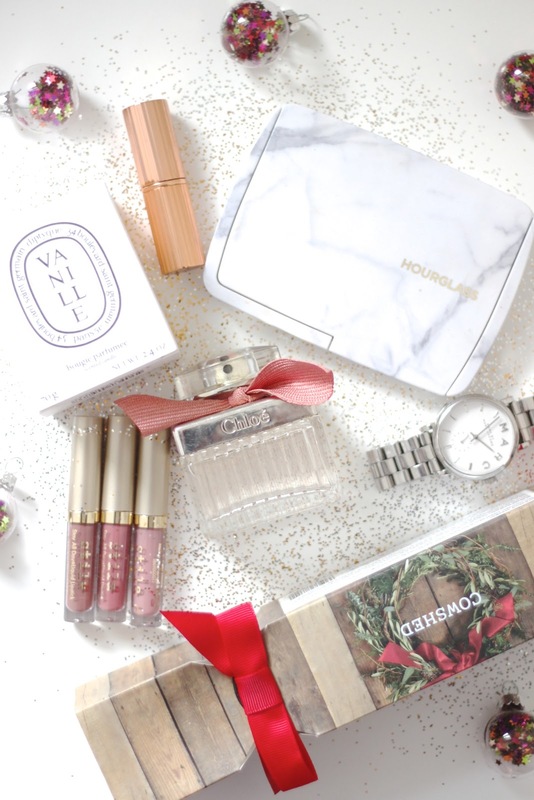 A Girlie Christmas Gift Guide. | By Millie. Buying a nice gift doesn't have to be expensive, even if leather is in the equation. You don't have to splash out a £1000 bag - although yes, you lady would probably love that - you can always go for something a bit smaller, which isn't going to break the bank. A new purse or card holder from her favourite brand, designer or high street, will go down a treat! You can never go wrong with a good gift set or limited edition palette. So many girls will love to receive beauty bits, especially if it's from a higher end brand they may not want to invest in themselves. Girls also love to try out new bath and body products and there are a lot a lot a lot of gift sets on the market to give her something to look forward to! Such a classic, but maybe something that seems to obvious and cliche that you may skip over?...There are loads of really nice jewellery and watch brands which have some beautiful and unique designs and concepts. My favourite brand for jewellery at the moment is Monica Vinader, this brand do some super luxe friendship bracelets, stackable rings and some gorgeous necklaces, so it's definitely a brand worth checking out for your special lady. Yes, just candles, us women love a good candle...or twenty...Christmas is the best time to stock up on festive, warming scents, and never think the lady in your life has enough, this is frankly impossible. You can never go wrong with a luxury candle guys!